I mentioned before a gift with a condition that I received last year from a dear friend of mine. 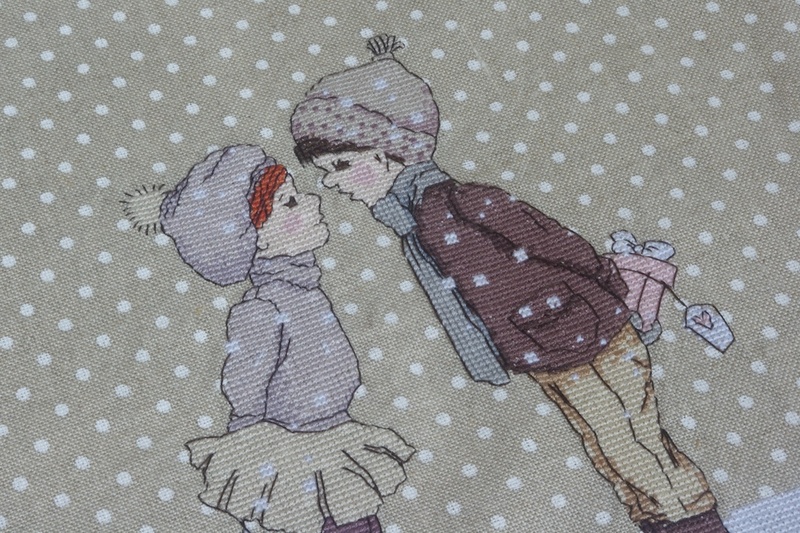 A beautiful embroidery "Winter Kiss" by Belle & Boo. 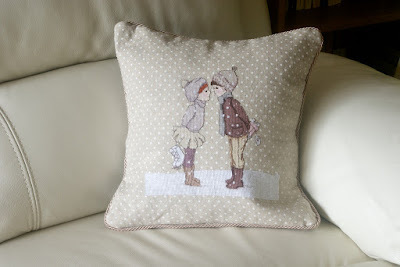 My friend insisted that I made a pillow. What else apart from framing this lovely piece could I have done?! 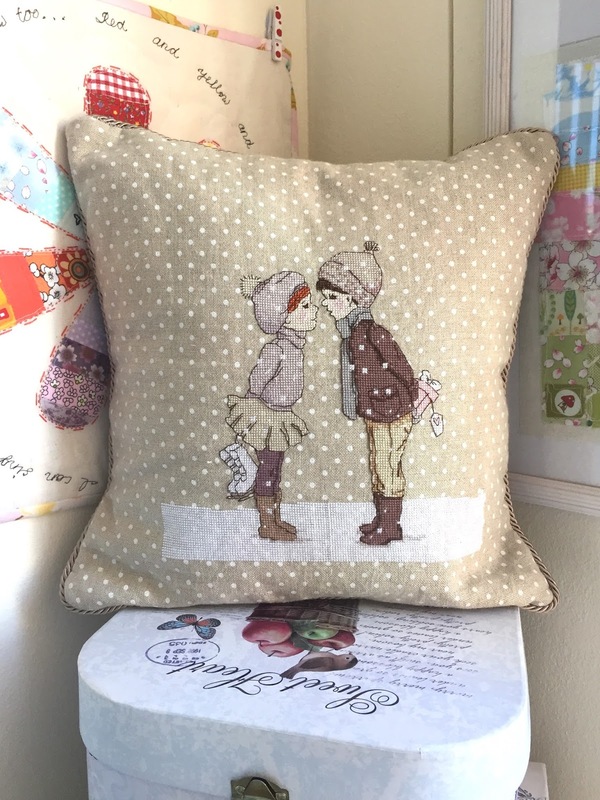 I suggested to her the idea of framing, but "only a pillow" I heard in return. 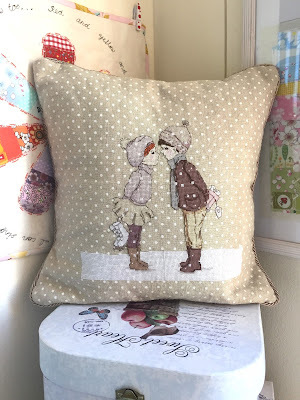 Well, I am happy to say that I completed her request and turned her beautiful Belle & Boo cross-stitch embroidery into a pillow. Ta-dah! The back of the pillow has an envelope closure, like all the pillows I have ever made. Maybe it's time to be brave and try some other ways of finishing the back. I added three fabric buttons that our Mousey Mouse loves to play with and a simple hand stamped label. 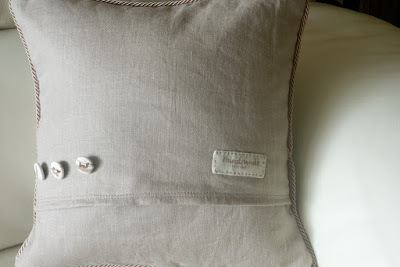 This is so beautiful and the buttons are the perfect finishing touch.You have a very kind friend. Thank you, Dina! It's a simply drawing, but it's very sweet.